FOUND SAFE by FPD Ofc Dubowy on Mowry Ave. Thank you. 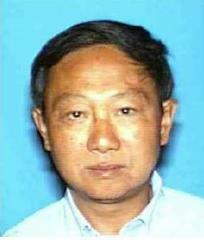 Paw Yaung age 62 is missing from area of State St since 2pm today. He suffers from medical & mental issues. Paw speaks primarily Chinese and some English. He was last seen wearing a denim shirt, burgundy sweat pants and slippers. He has a history of wondering several miles from his family. If you see Paw please contact the Police.